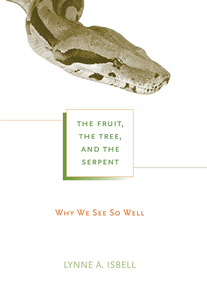 "The Fruit, the Tree, and the Serpent expertly summarizes everything from reptile evolution and field observations of primates to the biochemistry of vision and the neurobiology of fear. More importantly Lynne Isbell's snake detection theory offers a cohesive explanation for many uniquely primate attributes and even has implications for the origin of language in humans. 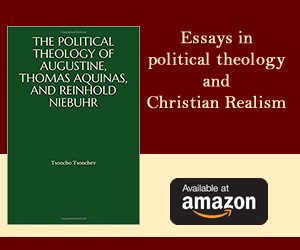 Her first-rate scholarship will inspire new waves of research in a wide range of disciplines and this reader-friendly book will reward anyone interested in its subjects. " I still find it amazing that my dog's eyesight is so poor. The other day he confused another man standing perhaps three meters away, with my husband. They had the same height, build, gray moustache, and ubiquitous baseball cap. But my dog couldn't see the differences in their faces and he bounced eagerly to greet the stranger, a behavior he reserves for his immediate human family. On other occasions, he ambled right past what stopped me dead in my tracks as we walked along the levee: twice, a beautiful yellow and brown-ringed California king snake, and once, a small, nondescript, immature yellow-bellied racer. Had the snakes been moving, he might have seen them, but I saw them quickly even without movement. My dog's ability to sniff out details that I can only imagine far surpasses his ability to see details that I take for granted. How did we get to the point where we miss the smells that a dog experiences but we see the rest of life in fine, colorful detail and depth? My book deals with that question. It is a question that addresses who we are at our most fundamental level. Before we were teachers and philosophers, readers and astronomers, before we were tool-makers and upright walkers striding across Africa on our way to the rest of the world, when we were little creatures foraging for fruit and nectar among the branches, we began to acquire our excellent eyesight. We know this because we share our superb vision with other primates, and only them. The most recent findings from molecular evidence suggest that the primate lineage is one of the most ancient of the placental mammal lineages present today. We go back as far as 70-90 million years ago. If we want to understand why we are who we are and why we are able to do what we do, then we need to find out why we ratcheted down smell while bolstering vision. We have to start at the very beginning of this process when we were nothing more than a mouse-sized mammal scurrying about at night. There have been several attempts to explain what happened at the beginning. One hypothesis argues that life in the trees favored shifting of the eyes from the sides of the head to the front, providing our lineage with its good depth perception. Without good depth perception, arboreal animals would surely be at greater risk of falling from the heights. Another hypothesis argued comprehensively against the "arboreal theory" by pointing out among other things that other mammals living high in the canopy, such as squirrels, do just fine with more laterally placed eyes. It argued instead that a diet of insects would have demanded forward-facing eyes because good depth perception is needed to successfully catch fast-moving and flying insects. It is not just depth perception that has changed over time, however. We primates can see objects in the environment, especially motionless objects, that dogs and others overlook. The "visual predation hypothesis", as it is called, was challenged by the "angiosperm/omnivore hypothesis" in which it was argued that while insects were likely eaten, it was a diet more geared toward immobile small fruits in bushes that were obscured by the dim light filtering down to where the proto-primates lived that favored heavier reliance on vision. Better object vision would have helped in locating such fruits. This hypothesis is made suspect, however, by the widespread belief that at the beginning our lineage was active and feeding at night, not during the day. We all know that without light vision is useless, let alone improved vision. It is probably not surprising that we have no paucity of hypotheses about our origins. Of course, origins hypotheses are impossible to prove because we cannot go back in time to know what was happening at the beginning. The best we can do in evolutionary science is marshal the evidence for one scenario and against another. In this vein, my book offers another scenario for the evolution of our human lineage, the "snake detection theory". Using a multi-disciplinary approach that includes visual neuroscience, the psychophysiology of fear, and comparative evolutionary biology among others, I provide multiple lines of evidence to argue that, far from being predators, the mammals that were to become primates were actually prey. It was the need to detect and avoid their predators that favored the expansion of the visual sense (and concomitant reduction of the olfactory sense). A review of the molecular and fossil record reveals that of all the predators of primates, snakes have been around the longest and, moreover, have been unchanged in appearance since before primates evolved. Some of the visual cues snakes provide-their limbless elongated bodies, their scales-have been reliable cues for their detection for about 100 million years. They are so reliable that neuroscientists have found individual neurons in the visual part of the brain that respond preferentially to moving, elongated shapes and diamond-shaped patterns! What else in nature besides snakes provides these cues? An ancient, dangerous relationship with snakes would go far to explain our fearful preoccupation with snakes-ophidiophobia is our most common phobia and snakes are cast as villains in many of our myths and folklore. Something I find very intriguing about the snake detection theory is how similar it is to an origins scenario of a non-scientific sort, the biblical story of Eve and the Serpent. In that story, the Serpent encourages Eve to go ahead and eat the fruit from the tree. By doing so, the Serpent assures her, she will not die and, in fact, her eyes will be opened. She will see the difference between good and evil. This is not so different from the mechanism proposed by the snake detection theory to explain why primates evolved good vision while other mammals that were also prey for snakes did not. There were two fortunate conditions that might have helped primates alone travel the path to better vision. First would have been a diet heavy in fruits and nectar. Foods high in readily available sugars would have allowed the eyes to "open" by supplying the chemicals to help expand and protect the visual sense. Moreover, fruits and nectar would have allowed a reduction of the olfactory sense without reducing foraging efficiency because they produce odors that are highly noticeable, even for us olfactorily compromised humans. Other mammals, with a diet of mostly seeds, leaves, roots, or insects, would not have taken the same path because those items tend not to be advertised with attractant odors. In opposition to the angiosperm/omnivore hypothesis, a frugivorous/nectivorous diet would not have been the main cause of better vision but would have allowed it. Second would have been living in places exposed to sunlight. Although proto-primates would have been active at night and, in that regard, no different from other mammals, their grasping hands and feet tell us that they would have spent their nights moving about on branches. Importantly, they would have also spent their days in vegetation, where they would have been exposed to sunlight. Staying in places exposed to sunlight would have made vision even more useful. We can see this in Old World fruit bats that also spend their days in vegetation: their eyes are enormous, unlike the beady little eyes of bats that sleep in caves or other dark places. They have even lost their echolocational ability to better vision. Other mammals would not have benefited from expanding their vision (at a cost to olfaction) because they would have spent their days in burrows and other dark places, where sunlight doesn't penetrate. One might wonder why vision would be necessary for animals that are trying to get some shut-eye during the day so that they can be active at night. Here again arise the predators. Even fruit bats spend a large portion of their daytime on the lookout for predators. In the book, I suggest that the fruit, the tree, and the serpent have all contributed to make us who we are today. There are other contributors, of course, but without the fruit, the tree, and the serpent at the beginning, we would not have had the foundation of excellent vision, a sense that enables us to develop written languages, draw up blueprints and build complex structures, appreciate the role of color in creating art in all its forms, recognize the difference between good and evil in another person's face, or detect a dangerous snake resting camouflaged in the grass. Thank goodness for snakes! Lynne A. Isbell is Professor of Anthropology and Animal Behavior, University of California, Davis.